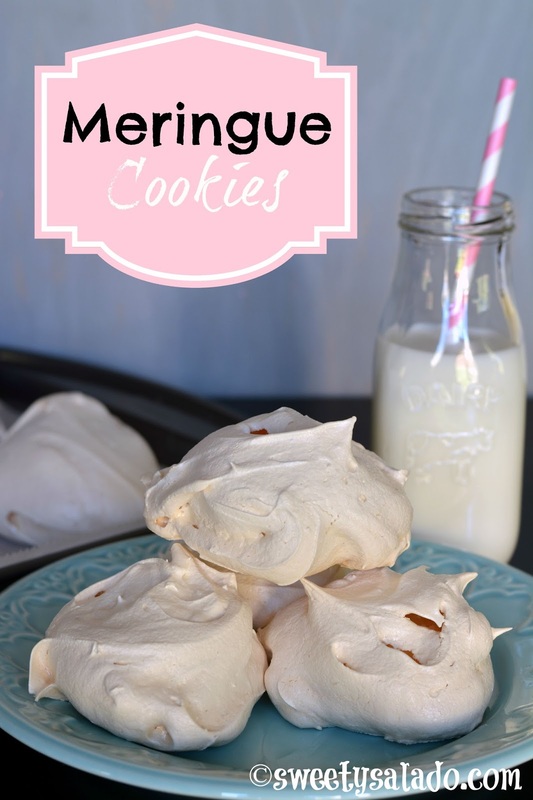 I can still remember the first time I made meringue cookies and every time I think of that day I remember exactly what the kitchen looked like, the stove, the sun shining through the windows, everything. The reason for that is because I spent that afternoon making these cookies with Luisa, who was one of my favorite cousins while growing up in Colombia. She came home one day and told me that she had learned how to make “merengues” and that she wanted to teach me because it was so easy. We must have been 11 or 12 at the time, beat everything by hand because we didn’t have an electric mixer and they came out delicious! Not bad for a couple of kids playing chef in my grandmother’s kitchen. 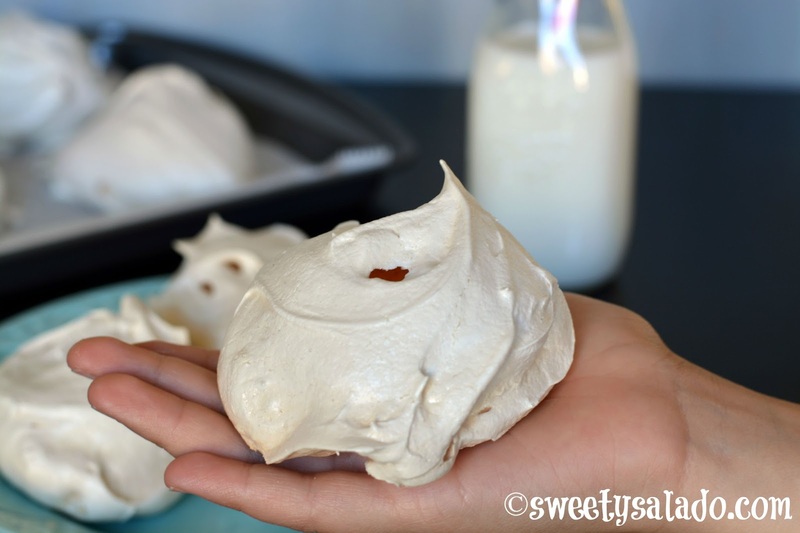 Making meringue cookies is extremely easy if you take the necessary steps. First, you need to get rid of any greas your bowl and whisk may have because grease or fat are the enemy. You also need to stabilize your egg whites so they can fluff up and stay fluffed up properly. And last, you need to be patient when baking. Just bake them at a low temperature, let them dry out and enjoy. Pre-heat oven at 250ºF (120ºC). Bake for 1½ hour. 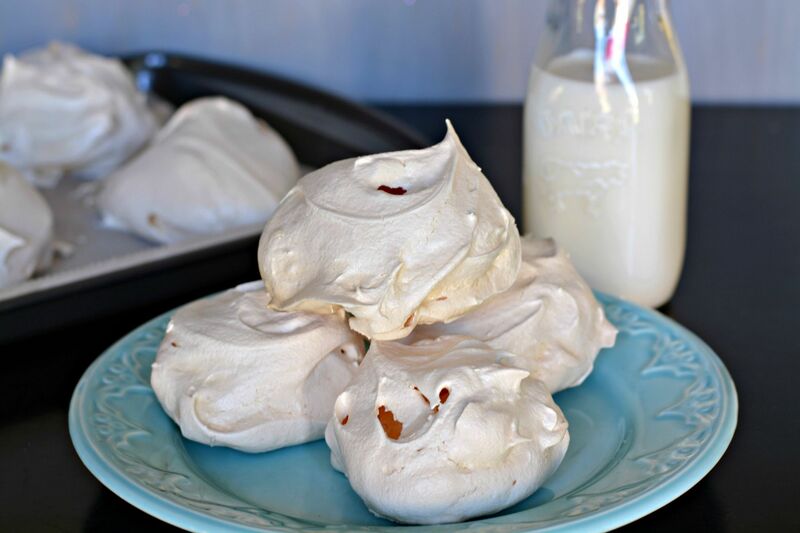 Then, turn off your oven and leave the door cracked open to let the meringues dry and cool down for a few hours before serving. They can be stored in an airtight container.